On Friday May 13, 2016, IPdigIT (together with CIPI, CORE and Crides) organizes a one-day conference on ‘Big Data in the Platform Economy‘. The venue is Microsoft Innovation Center (Rue Montoyer 51, 1000 Brussels). Admission is free, but online registration is required. To register and to see the full program of the conference, please follow this link. 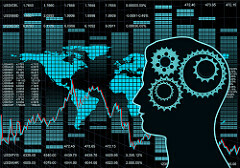 Big Data is often presented as a mine whose exploitation could open new avenues for reigniting the economy. New data analytics tools are developed to exploit the huge volume of very diverse data that are continuously generated by the use of a growing number of connected devices. Many companies envisage to better exploit the data linked to their business, for instance to improve their marketing strategy. Other organizations can also benefit from data insights to better focus their activities. Large online platforms have already built successful business models around the exploitation of big data. Data aggregation by those platforms (for instance by social networks) poses new problems. The increasing importance of data as a component of the digital economy has probably to be factored in the competition law analysis. Big data usually comprises personal data, which raises additional issues for the assessment of data dominance. Collecting, accessing and sharing big data raise other new legal issues, which are the focus of ex ante regulation. Those legal issues include the need for new exceptions to intellectual property, such as the text and data mining exception within copyright, the portability of data over platforms, the fine-tuning of the existing sui generis protection under the Database directive, etc. The conference aims to present the potentialities and tools of big data analytics, to explore various ways for companies and organizations to exploit big data, and to discuss whether the legal framework is fit for regulating the data-related issues. The program is divided into four sessions focusing on big data for, respectively, engineers and data scientists, economists and managers, competition lawyers, and regulators. Some of the issues to be discussed include: What are the new tools for big data analytics? How do online platforms exploit the potential of big data? How to assess the functioning of digital markets and their reliance on data exploitation? Should competition law be revised to factor in the role of data aggregation? What rules should be amended to promote the exploitation of big data while protecting individual consumers and ensuring fair competition?